5.0 out of 5.0 Great Buying Experience...HIGHLY RECOMMENDED!! by Very Satisfied Buyer from Akron, Ohio | September 9, 2014 Great dealer & experience, in all ways, so I wanted to let others know! Great cars, low prices & good guys! Very happy I found this dealer & his cars here on Cars.com! Thanks Imports Auto Group! 5.0 out of 5.0 good experience by mike from akron oh | October 21, 2014 I was loking to buy nissan altima with good price and low miles. Imports auto group did have it and they helped me get it gave me hell of the deal. I never had good experience with dealers but these guys wore so nice didn't presure me at all. From now on I will always go to them and I recommend everybody to do the same, they are very professional and frendly. 5.0 out of 5.0 BEST BEST BEST by More than Satisfied Buyer from Akron, Ohio | July 22, 2014 Great dealer & 1st Quality all the way...great cars, low prices & great guys! Very happy I found this dealer & his cars here on Cars.com! Thanks Guys! 5.0 out of 5.0 Great buying experience...highly recommended! by RubberCityGal from Akron, Ohio | June 29, 2014 Shopped on Cars.com, & found this dealer & his cars. They made it easy to buy & were very helpful. Wanted to recommend Online Auto Warehouse & thank them for all their help! 5.0 out of 5.0 2008 Prius by Mike from Akron, OH | April 9, 2014 I bought a car for the first time from Imports auto and couldn't be more satisfied with how things tued out. Salesman was a very helpful and low-pressure salesman and seemed to go out of his way to help. I took the car I picked out to a mechanic to be checked out and they found a few things needing attention, and Imports auto worked with me to get necessary repairs done at no cost to me. I was also contacted after I bought the car and finalized the repairs to make sure everything worked out, which I found to be very thoughtful. I would definitely recommend them in the future. 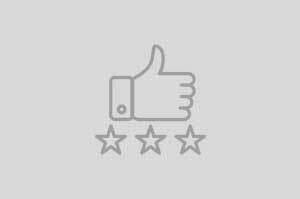 5.0 out of 5.0 Great service, flexible and provide pickup service by Mustang Mike from Rochester NY | February 17, 2014 ONLINE AUTO WAREHOUSE. provide great customer service. When I purchased my vehicle they were courteous and friendly salesman. Boluin provided a pickup service at the Trailway Station for me and my son when we came from Rochester NY. I would definitely recommend them to other people even if they have to travel it was definitely worth and next year I am in search of a minivan and I will retu to purtchase it from them. Thank you guys!! 5.0 out of 5.0 2007 vw rabbit by BERRY from CUYAHOGA FALLS OH | January 30, 2014 I selected a car from their online inventory and spoke with Salesman to discuss the details of the Vw Rabbit . I set up a time to visit their facility and inspect the vehicle. The Rabbit was exactly as represented online . This has been the quickest and easiest car buying experience that I've ever had. I would highly recommend this dealer and salesperson to anyone looking for a quality vehicle at a fair price. .0 out of 5.0 Great Deal by Greg from Youngstown OH | January 27, 2014 my experience at online auto warehouse was great, everyone that worked there was super helpful and one salesman that helped me out the most was a guy named Bojan he made sure I got the car that would fit my needs. I ended up buying 2013 dodge avenger and I loved everything about it. if you are looking for a cheap but valuable car I would recommend anyone ONLINE AUTO WAREHOUSE. 5.0 out of 5.0 awesome experience by Cheryl the Jeep fan from Akron, Oh | May 20, 2015 I never felt pressured to buy. He listened to what I wanted and searched until he found exactly what I was looking for. I will definately purchase future cars here!! 5.0 out of 5.0 2007 AUDI A4 S-LINE MANUAL by JAMES from BROOK PARK OH | May 20, 2015 BLACK ON BLACK , ONE THAT ONLY ONLINE AUTO HAD. BEST PRICE ON MARKET AND BEST QUALITY, LIKE I HAVE READ IN THIS REVIEWS THIS IS REALLY BEST DEALS . I WIILL COME BACK AGAIN. Great service vary informative by John Kloster from Copenhagen ny | December 21, 2015 I was out of town working when I found a truck they had for sale.They could have sold the truck probably twenty times but they held it for me for almost two weeks.When they knew I was coming to pick it up from out of town,they took time to take it to a mechanic and have it all checked out and anything that was wrong they had it repaired at no charge to me. These guys were awesome. Simply the Best by Jon from Scranton pa | December 22, 2015 Simply the best I have found . Was searching for Ford diesel truck , they had all at one place , several diesel truck . Got myself a best deal ever . I would highly recommend this dealership to Anybody. All diesel truck at one place. Great service, good selection. by Jason Mise from Wadsworth ohio | December 2015 2014 Very helpful sales staff. Has very clean cars. Very nice place to purchase a used vehicle. great experience by Eric from canton oh | October 21, 2015 I just want to say tahank you importa auto group for selling me 2005 subaru forester. Not only that price was good but the car is in perfect condition. I recommend everybody to go and check them out great people .... Love my new car Thanks. good experience by mike from akron oh | October 21, 2015 I was loking to buy nissan altima with good price and low miles. Imports auto group did have it and they helped me get it gave me hell of the deal. I never had good experience with dealers but these guys wore so nice didn't presure me at all. From now on I will always go to them and I recommend everybody to do the same, they are very professional and frendly.